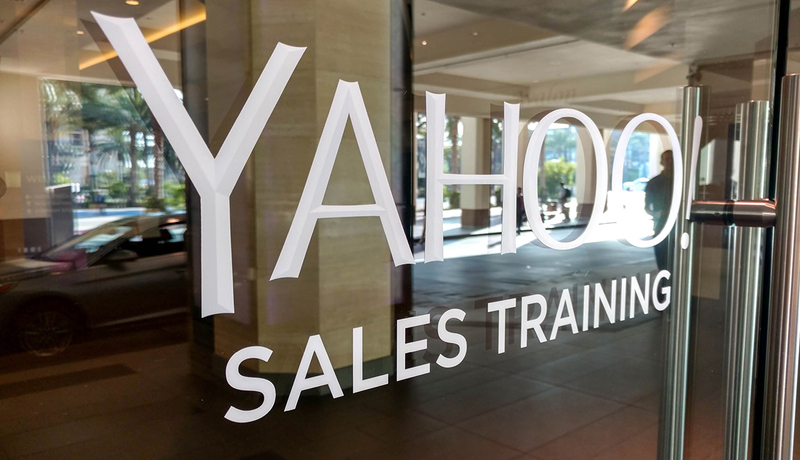 Yahoo Sales Training 2016 | FineLine Graphics & Design, Inc. 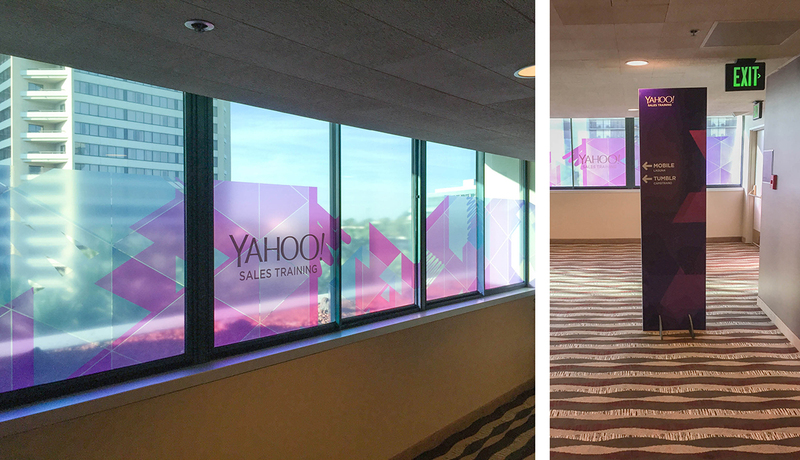 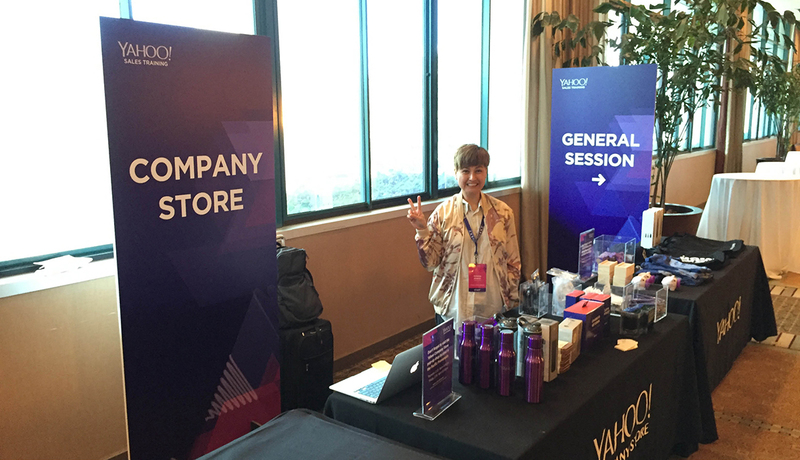 The Yahoo Sales Training 2016 event was a huge success. 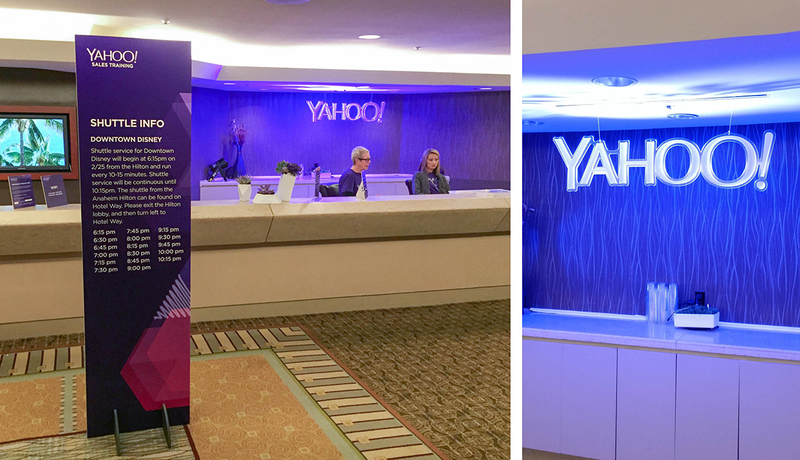 As an extension of the Yahoo team we had a key role in the development of the event signage for the entire show. 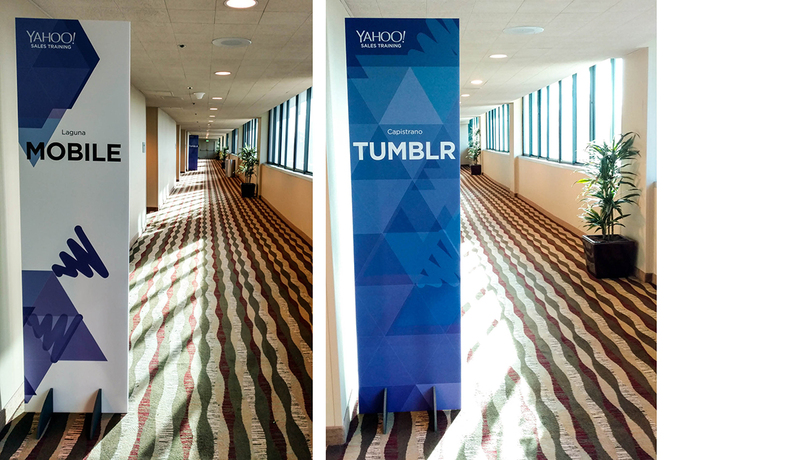 Not only did we produce and print the signage, we determined the flow of signage in the Anaheim Hilton hotel for the event. 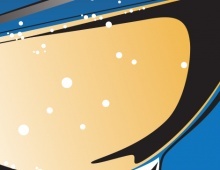 This included recommendations for the quantity of signage, placement, and location. 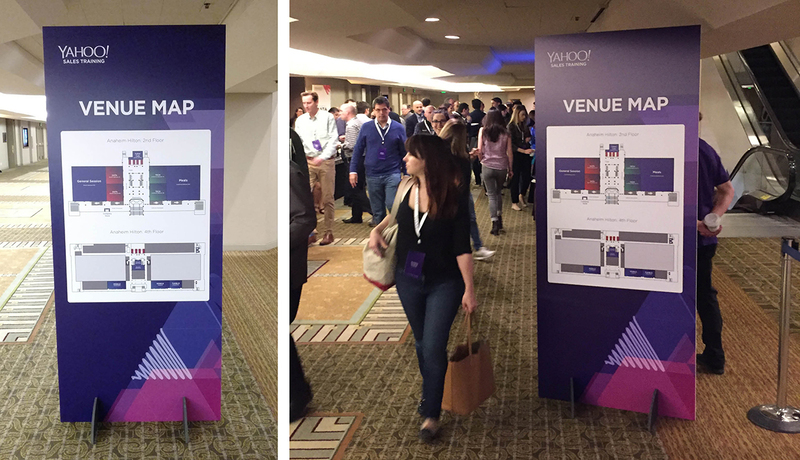 From the site inspection we created a detailed floor plan of the Anaheim Hilton event space, populating it with codes to indicate size and type of signage. 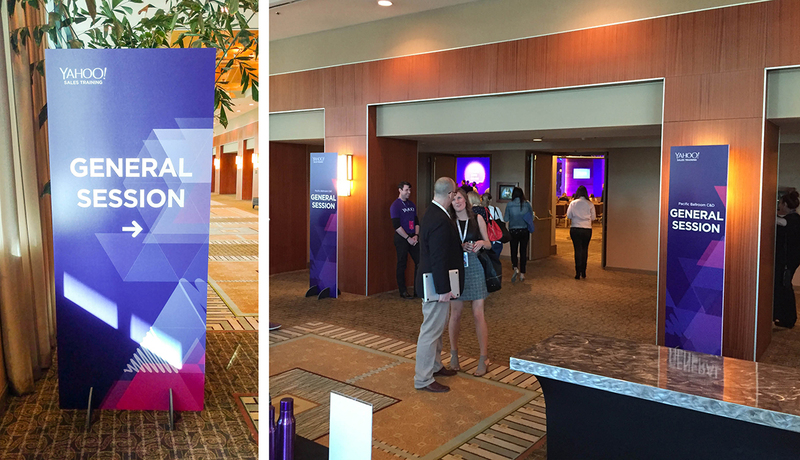 We later transitioned this floor plan into a site map to help guide attendees at the event. 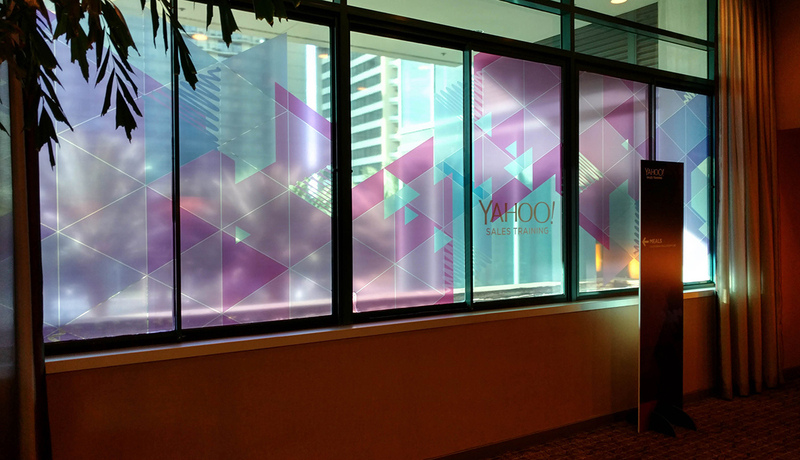 To help streamline the process for the Yahoo design team, we built the individual templates for the signage and the vinyl window treatments that they would use to populate with their artwork. 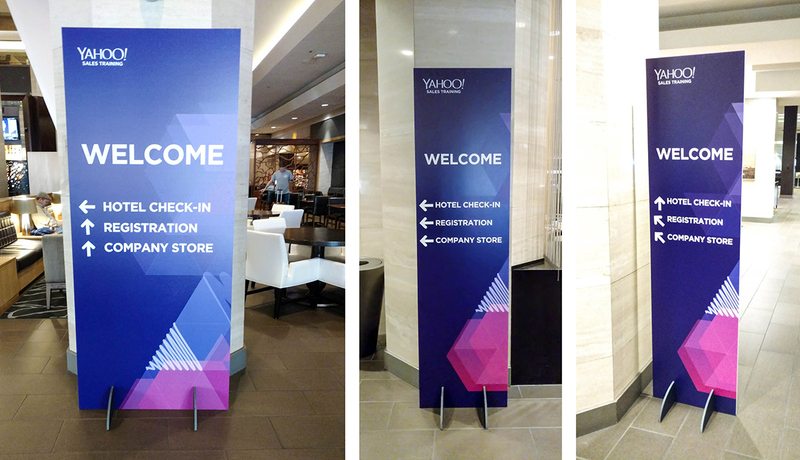 To further add value to the event we were on site for the event to set up all the signage, work with the vinyl installers, and walk the hotel floor during the event to make sure signs had not been moved or knocked down. 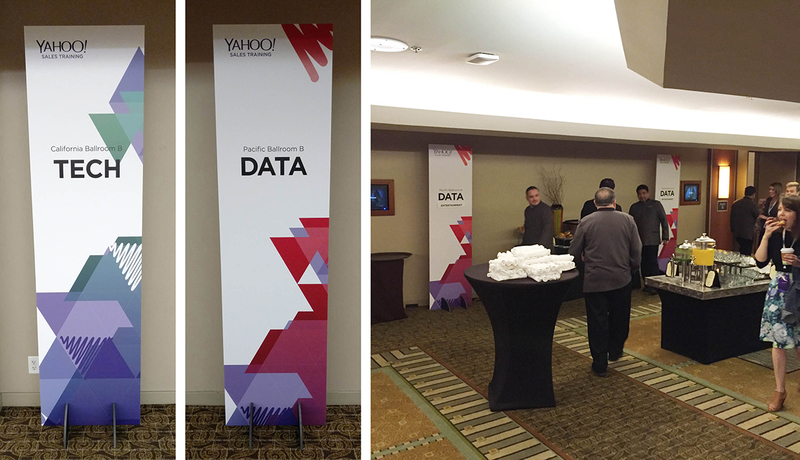 At the end of the event we collected all the signs, broke them down, and worked with the installers to remove all the vinyl.